May 2, 2012 - Despite economic volatility in the five years to 2012, the Flight Data Recorder (Black Box) Manufacturing industry has fared quite well. Strong demand for new commercial airplanes in downstream markets and increased defense spending on military aircraft boosted demand for industry products. With rising fuel prices, international and domestic carriers increased their demand for new, more fuel-efficient airplanes. 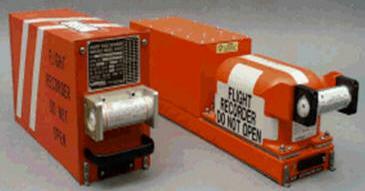 As a result, aircraft manufacturers, such as Boeing, increased their purchases of flight data recorders (FDRs) and cockpit voice recorders (CVRs) since they are a necessary good in almost all aircraft. In addition, the military increased its activity in Afghanistan, driving growth for new military aircraft and positively affecting industry demand. ?The high sales volumes, combined with product price increase, have helped the industry offset higher input costs, such as those of steel,? says IBISWorld industry analyst Mary Nanfelt. Despite strong demand from downstream markets, commercial aircraft activity slowed during the recession, restraining overall industry growth. From 2007 to 2012, industry revenue is expected to rise at an annualized rate of 0.5% to $264.6 million, including an increase of 1.9% in 2012. From 2012 to 2017, Flight Data Recorder (Black Box) Manufacturing industry growth is projected to pick up. International and domestic carriers will continue to demand more airplanes due to improved technology and an expansion of airline companies in Asia. With more new airplanes, more FDRs and CVRs will be demanded. In addition, the price of steel is expected to remain stable, keeping costs and profit margins constant. ?Although the industry will grow, it will be negatively affected by the reduction in defense spending by the US government,? adds Nanfelt. As federal funding for defense declines, fewer new military aircraft will be needed, so fewer industry devices will be demanded for these planes. Although the industry is expanding, the number of companies in this industry is expected to remain constant. Current major players include L-3 Communications Corporation, Honeywell International Inc., Teledyne and Universal Avionics. Given that industry equipment is highly regulated, production of these devices is tightly controlled and so there are few companies operating in the industry. The industry has high barriers to since it manufactures a very technical device and has a limited number of customers who require such products. Furthermore, the capital investment necessary to produce these devices is high, further limiting competition in the industry. Major companies in this industry that specialize in defense products submit bids that detail proposed technical solutions and designs and cost estimates to win government contracts. Even though firm numbers are forecast to remain constant, employment is expected to grow at an in the five years to 2017. As demand increase, companies will need more employees to meet their production quotas. IBISWorld Inc. is recognized as the nation?s most trusted independent source of industry and market research, IBISWorld offers a comprehensive database of unique information and analysis on every US industry. With an extensive online portfolio, valued for its depth and scope, the company equips clients with the insight necessary to make better business decisions. Headquartered in Los Angeles, IBISWorld serves a range of business, professional service and government organizations through more than 10 locations worldwide.